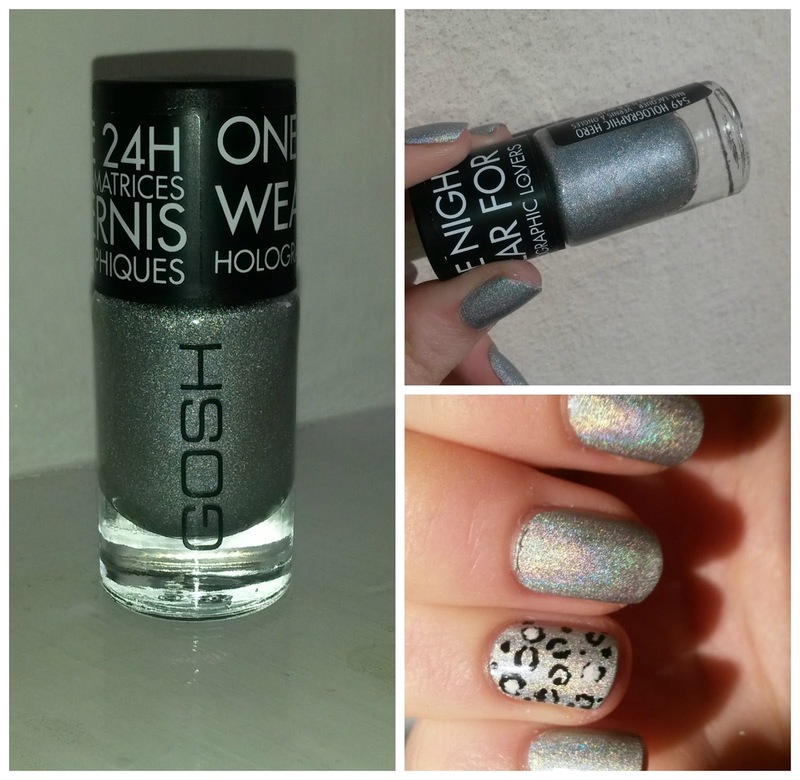 Holographic Hero by Gosh was one of the most anticipated re-releases of it's time when it hopped back on the shelf a few years ago. Though, I believe, most people were left a little disappointed, not only had the polish changed in formula but the holographic look just wasn't the same. I really can't tell you whether that's true or not, I'm just going off what I've read in previous posts on holographic hero. The first time I saw this swatched I fell in love. The beautiful holographic shimmer that brought a stunning rainbow to your nails (in a good light) is what sold me. And for only £3.99 it was a good price. I believe, when Gosh released this they had in mind that it would only be a 24 hour polish that shows on the lid of the bottle. I have a lot going on during the day, but it lived up to it's 24 hour mark and more, lasting a good 48 hours before starting to chip. I'm not going to lie and say it's the best formula in the world (I love my creamy nail lacquer), it's a little on the thin side and due to being holographic it's on the sheer side, therefore takes a good 3/4 layers to achieve full-coverage and unless completely dry it can look somewhat streaky when applying another coat Holographic wise, it's not at all on the same level has Chanel' holographic polish (which I saw on Ebay for £100 - omg!) But nevertheless still a very pretty polish and a nice enough finish, the holographic comes alive in certain lights but mainly sunlight. I tried to catch it the best I can on the photo's, feel free to click picture to enlarge. A small tip is to apply a dark polish before holographic, this will achieve the same look using less polish. This goes for two toned polishes too that tend to be on the sheer side. Great post, this looks so pretty, love anything that shines!! Oh my gosh, this is a gorgeous and it looks pretty flawless on! Shame that it took 3-4 layers to look that way. Ive been after this polish for ages!! !